We provide therapy and assessment, community education programming, and professional training to support and empower the girls, young women, and families in our community. Our experienced clinical team offers therapy services for individuals, couples, families, and groups. We currently offer over 20 therapy groups for different ages and areas of interest. Learn more about our therapy philosophy. Our Community Education team offers public and private workshops for girls and teens to build skills, confidence, and camaraderie. Workshops cover topics such as friendships, social media, conflict resolution, emotional regulation, using assertiveness with compassion, maintaining a positive body image, de-stressing in a pressured world, and more. In addition to workshops, we also provide talks in the community and host events at the Institute. 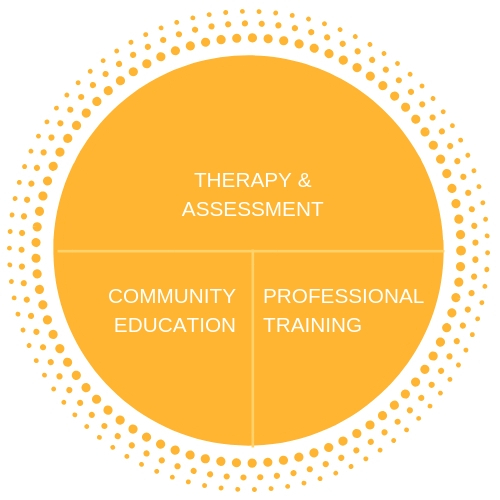 Our Professional Training team shares expertise with fellow professionals in mental health, education, and organizations serving children and families. In creating a community for learning, growth, and diversity, we hope to challenge ourselves and others to think deeply, creatively, and empirically – and to act boldly.